Many times carpet ripples will begin to appear in less than a year after they were initially installed. The end result though, is that initially your carpet may look great but might start rippling within anywhere from a few weeks to a year or two after installation. This causes the latex to expand and can cause carpet buckling if there is not sufficient tension on the carpet. You may have noticed that if you have visible ripples in your carpet they can look worse on humid days or you may get humps in your carpet that disappear when the humidity returns to normal. Many times steam carpet cleaning, which uses hot water, can cause your carpeting to buckle severely when you previously didn’t see any sign of a problem. Once again the cause is insufficient tension on the latex containing carpet backing brought to light by the high levels of moisture present from the cleaning. 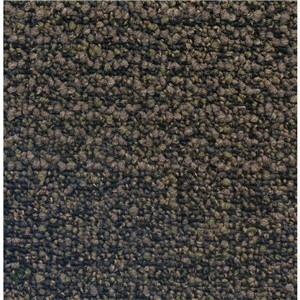 Loose, missing or damaged tackless strip: Many times carpet is rippling up because there is nothing to hold it in place. Carpet that remains wet for long periods of time is susceptible to delamination. Another common scenario that leads to missing tackless strip is when you have a room adjoining a carpet remodeled and a tile or wood floor installed. It is typical to find missing tackless strip along the adjoining edge because either the installer doesn’t consider it part of the job he is doing to re-secure the carpet or he just simply may not know any better! Dragging Heavy Furniture: You should make it a point to never drag any heavy furniture across the surface of a carpet. The tackless strip that holds the carpet in place has little nail-like spikes that grip the backing of the carpet. The force excerpted by dragging a heavy object across the surface can easily be enough to rip the carpet right off the tackless strip, damaging the carpet backing or loosening the strip in the process. Also some carpet fiber types such as olefin have a very low melting point and the heat generated by dragging an object over it can be enough to melt it causing permanent damage in the form of a line across the surface which cannot be removed by carpet cleaning. If the padding is too thick, in some cases it can cause the carpet to disengage from the tackless strip thereby losing tension. Age: Carpet’s can eventually stretch due to normal factors such as the compression of padding in high traffic area’s which allows more flexing of the carpet backing causing it to Relax” as well as the normal decomposing of the latex in the backing materials with age. 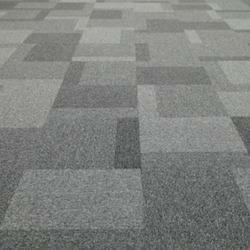 In our next example, there is no tackless-strip and no padding is used, so the carpet cannot be stretched in. Instead the carpet is glued directly to the sub-floor. In both residential and commercial setting’s it is found primarily over concrete sub-flooring such as in a basement area.